Antibody clone GHH45 has been developed and validated specifically for the detection of murine CD45R in formalin-fixed paraffin-embedded tissue sections (mouse FFPE). 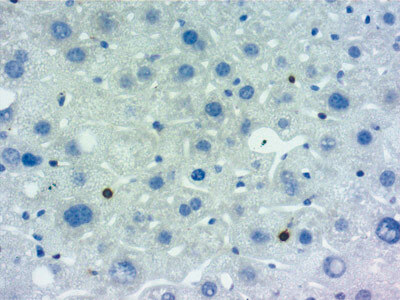 Clone GHH45 can be used as a pan-B-cell marker in murine FPPE tissue by Immunohistochemistry (IHC). Gene Ptprc encodes for the Protein Tyrosine Phosphatase (PTP) family member CD45, also known as LCA (Leucocyte Common Antigen). This type 1 glycoprotein contains a single variable extracellular domain, a transmembrane segment and two intracellular domains, which are both required for full enzymatic activity, followed by a short tail at the C-terminus. The PTPase plays an important role in regulation of antigen receptor signaling and development of T- and B-cells. Several splice variants of CD45 mRNA exist, affecting the composition of the heavily glycosylated extracellular segment at the N-terminus. Clone GHH45 is raised against a conserved region at the C-terminus of CD45 and detects three murine isoforms of leukocyte receptor CD45R (alternative names: B220, Ly-5 and Protein tyrosine phosphatase receptor type C). In addition, this region is particularly suitable for antibody-antigen recognition in standard FFPE-tissue sections. 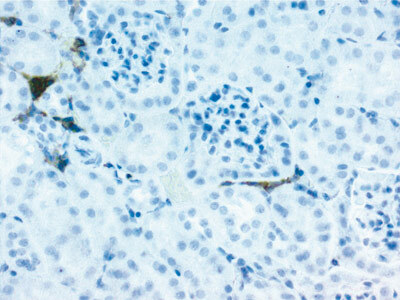 CD45R is predominantly expressed on the surface of B-cells (level of expression increases from early pro-B-cell stage to ma-ture B-cells, but diminishes with final differentiation into plasma cells) and activated B-cells, as well as on a subset of T-cells, dendritic cells and NK-cells. Infectious, autoimmune and malignant diseases are associated with altered CD45 expression in humans. 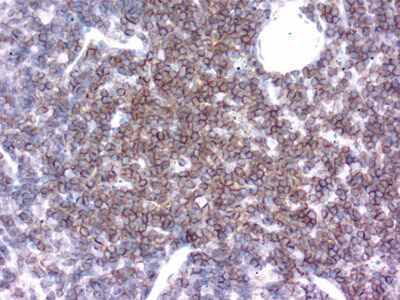 Staining of murine FFPE tissues using 10 µg/ml anti-CD45R antibody clone GHH45 and ABC-system. Immunoreactive cells have been revealed with 3,3’-Diaminobenzidine (DAB) as chromagen. 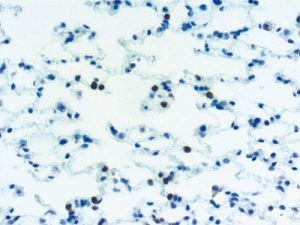 Nuclei have been counterstained with haematoxylin (blue). (Picture courtesy of Christel Bonnas, Synaptic Systems, Göttingen, Germany). 2. Osmond, D. G., Rolink, A., and Melchers, F. (1998). Murine B lymphopoiesis: Towards a unified model. Immunol Today 19, 65–8. 3. Hardy, R. R., Kincade, P. W., and Dorshkind, K. (2007). The protean nature of cells in the B lymphocyte lineage. Immunity 26, 703–14. 4. Blasius, A. L., Barchet, W., Cella, M., and Colonna, M. (2007). Development and function of murine B220+CD11c+NK1.1+ cells identify them as a subset of NK cells. J Exp Med 204, 2561–8. 5. Vosshenrich, C. A., Lesjean-Pottier, S., Hasan, M., Richard-Le Goff, O., Corcuff,E., Mandelboim, O., and Di Santo, J. P. (2007). CD11cloB220+ interferon-producing killer dendritic cells are activated natural killer cells. J Exp Med 204, 2569–78. 6. Hermiston ML, Zikherman J, Zhu JW. CD45, CD148, and Lyp/Pep: critical phosphatases regulating Src family kinase signaling networks in immune cells. Immunological Reviews; 2009; 228:288–311.Tchilian EZ, Beverley PC. 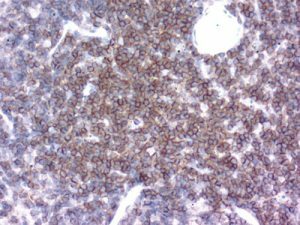 Altered CD45 expression and disease. Trends in immunology 2006 Mar;27(3):146–53.